Xerox Phaser 3150 Eco-Friendly Toner Cartridge | TonerGreen - Eco-Friendly Toners from the U.S.
TonerGreen is an environmentally-concious online store that has been providing environmentally responsible printing solutions such as eco-friendly toner cartridges and eco-friendly ink cartridges. We offer eco-friendly Xerox toner cartridges for Xerox printer users who wants to save money and save the environment. Our eco-friendly Xerox toner cartridges are refurbished; inspected, disassembled, cleaned and replaced worn parts with new ones before being re-filled with new toner, and went under several quality-tests to ensure their quality and guarantee that they work perfectly well with your printers and provide consistent quality output. And if you happen to be looking for a Xerox Phaser 3150 Toner Cartridge? TonerGreen offers Eco-Friendly Xerox Phaser 3150 Toner Cartridge or Xerox 109R00747 Remanufactured Black Toner Cartridge for the price of ($65.99). Our Xerox 109R00747 Toner Cartridge is Eco-Friendly! 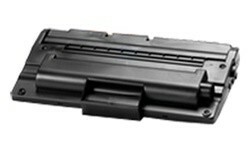 Remanufactured with up to 75% recycled components, our Xerox 109R00747 Toner Cartridge is thoroughly engineered to meet or exceed OEM specifications. All our ink and toner cartridges are backed by 100% Risk-Free Guarantee. Experience ultimate Eco-Value when you purchase our remanufactured Xerox 109R00747 Toner Cartridge: practical environmental solution, world-class service, and the highest quality Toner Cartridge at the most competitive price. Plus, TonerGreen's eco-friendly Xerox toner cartridges and printer supplies are remanufactured or recycled, thus helping in reducing the wastes ending up in our landfills and polluting it. By offering remanufactured toner cartridges and ink cartridges, TonerGreen encourages printer users to be responsible in picking up products that they use in their every day life.